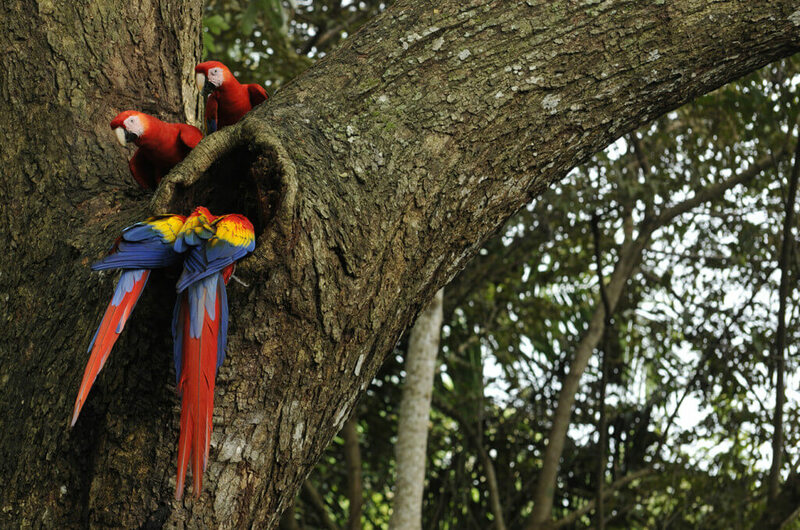 NATUWA and the Communities, together conserving the macaws. 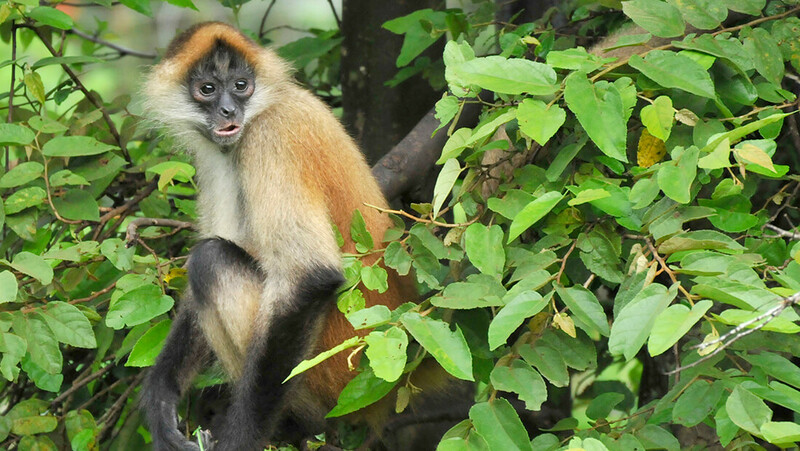 Learn with us about the importance of keeping wild animals in their natural environments. 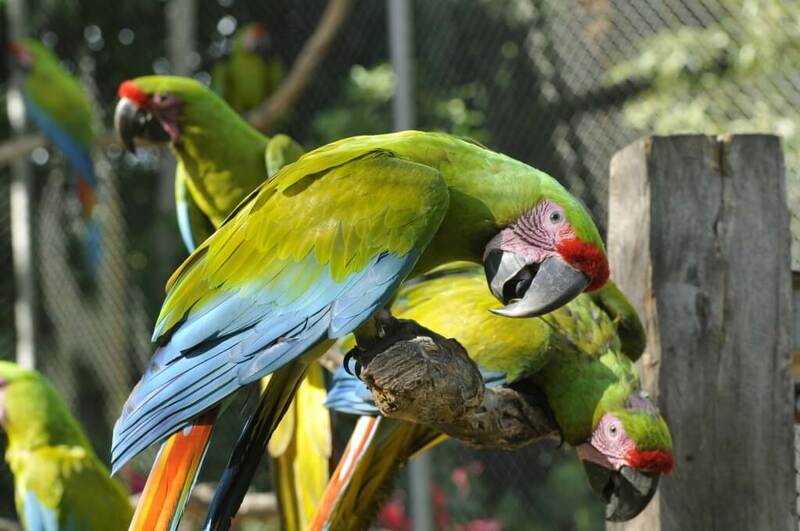 The Macaw Sanctuary, promotes the conservation of the wild populations of scarlet macaws (Ara macao) and great green macaws (Ara ambiguus). The macaws, are in the most beautiful group of birds of Costa Rica, its function in nature is to destroy and disperse seeds of a large variety of trees, helping to keep the forest healthy. 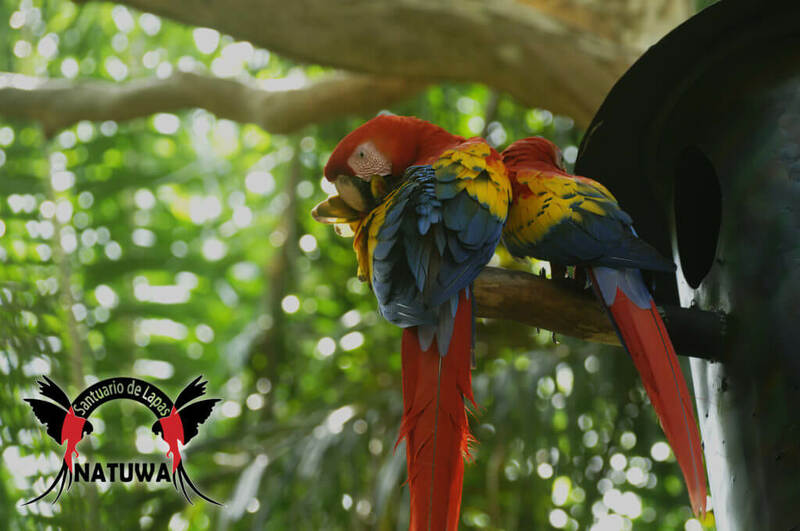 Therefore, NATUWA executes a management program for macaws, to preserve the functions of these charismatic birds in the wild. This involves rescue, physical-ethological rehabilitation and experimental reintroduction to the environment. In addition, NATUWA investigates aspects of animal behavior in captivity. The most important, the information generate in our animal sanctuary, is being well use to create awareness in the communities about the protection of the macaws. In this way, together we can preserve the functions that the macaws fulfill in the ecosystem, and so, the next generations can enjoy these beautiful birds. 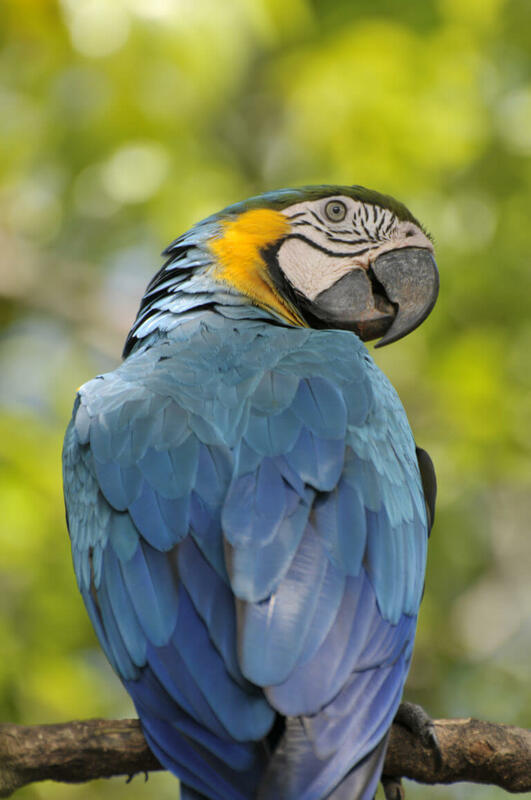 For this purpose, the Macaw Sanctuary make uses the macaws that are under risk, ilegally in houses, these are confiscated and brought by the officials of the Ministry of Environment and Energy (MINAE). Also participate, the Police, the Fire Department and the civilian population with voluntary deliveries. NATUWA Wildlife Sanctuary, provides refuge and protection to the wild animals that have been victimized by human actions, such as hunting, removal from their environments and the deforestation. These actions within natural environments of wild animals increases the vulnerability of the species and causes immense damage to ecosystems. Many times, the result is a large quantity of animals expelled from their habitats, with physical and psychological ailments that are overcome with much difficulty. 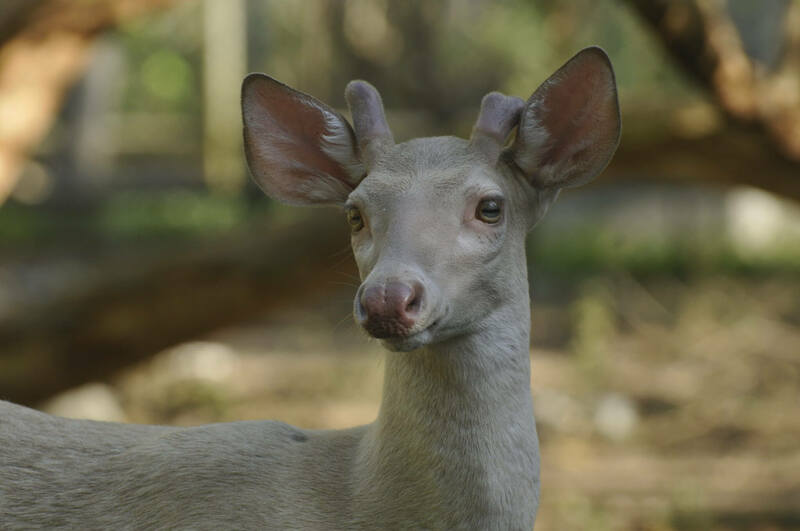 Among the species of wild animals that the Sanctuary offers attention to be able to exist in captivity with dignity are: Jagures (Panthera onca), ocelots (Leopardus pardalis), monkeys, tapirs (Tapirus baiirdi), white-tailed deer (Odocoileus virginianus); also, some exotic homeless animals. These animals present physical and behavioral problems. For that reason, they need to be house in a real sanctuary for their conservation. Also, for more than 18 years, as a rescue center for wild animals, it has made the task of returning to its natural environments, the rescued fauna that enters the sanctuary. Why these animals arrive at NATUWA? 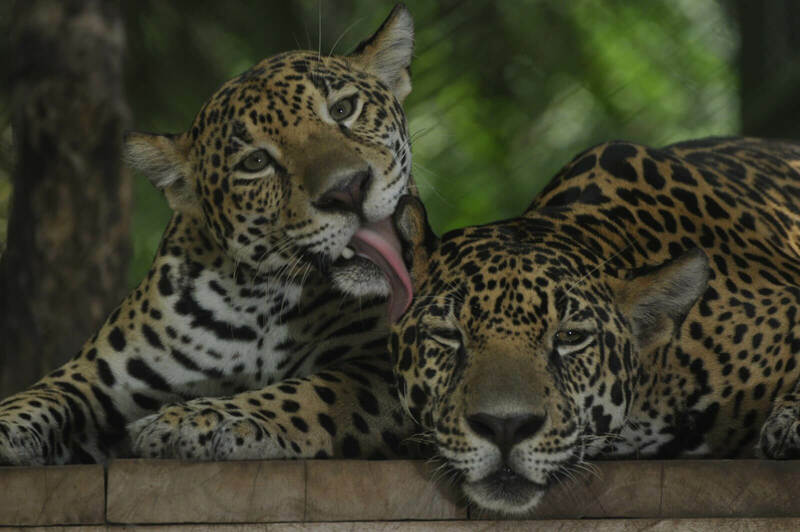 Unfortunately, wildlife is removed from their natural environments by anthropogenic causes; like hunting, destruction of the habitat and even problems of coexistence between fauna and people (See Sanctuary of Jaguars). On the other hand, the life of an animal in captivity demands special physical and mental health; this implies, a lot of space to run or fly. In addition, have the free decision to isolate themselves from other animals or from any situation that generates stress. Also, the sanctuary houses more than 200 macaws that require environmental enrichment every day, thus guaranteeing these beautiful birds of the neotropics a life in captivity that promotes animal welfare. In addition, among these parrots, we give protection and care to more than 20 disabled macaws; in enclosures specially built for birds that can not fly. This is due to the mismanagement that they have received when being captive in the house of the human being; being part of our project of animal conservation for the next human generations. From thirst, hunger and malnutrition. In contrast to the parrots of Costa Rica, we also provide support to many exotic animals that come from other ecosystems: South America, blue and yellow macaws (Ara ararauna), sun conures (Aratinga solstitialis), hyacinths (Anodorhynchus hyacinthinus); Australia, Eclectus (Eclectus roratus); Africa, Yacos parrots (Psittacus erithacus) and among other species. These organisms, being exotic birds, can NOT be released in the natural ecosystems of the national territory of Costa Rica. 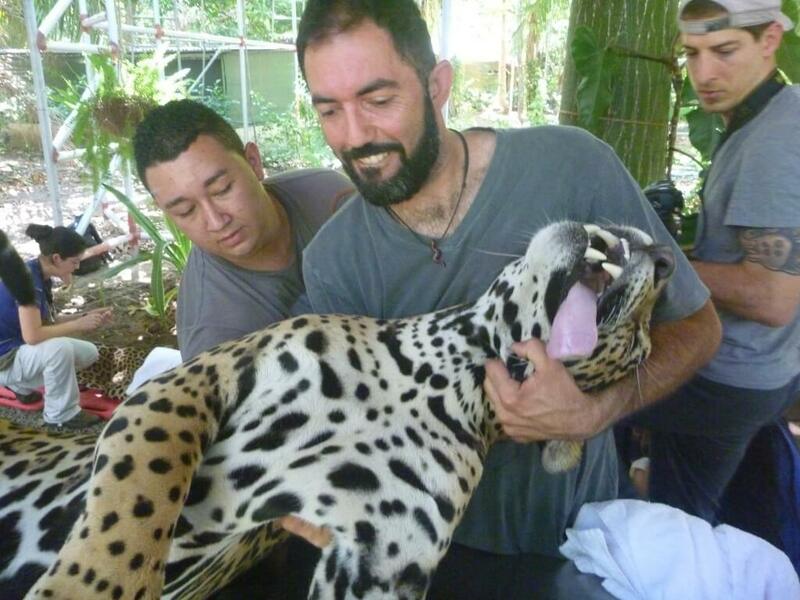 But, they do require the same care that is given to the native animals of Costa Rica, in addition to due respect. In their original environments, exotic birds suffer the theft of nestlings from their nests to be sold in the illegal pet market. In this way, they are under threat of extinction as are many parrots in the world; these also require help from animal conservation initiatives in their origin countries. In addition to the support of Costa Ricans, we also have the support of our community of international volunteers. These wildlife conservationists are people who offer their generous help to the animals of the sanctuary. The NATUWA wildlife project acquires part of its economic resources from the International animal rescue Volunteer Program. 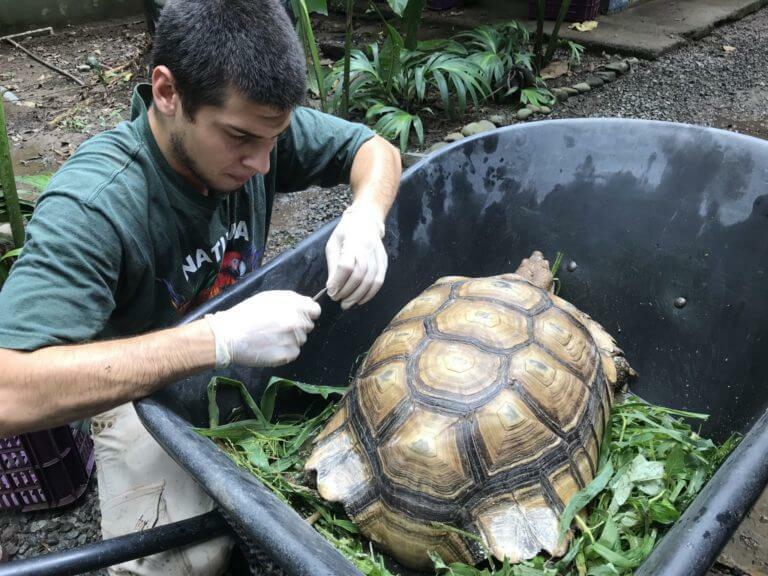 The help of the volunteers is vital, since they give support from the arrival of the rescued animals, during the healing process, the rehabilitation and even the liberation to the ecosystem. All these processes require extensive hours of work (day and night), and the volunteers generously fulfill satisfactorily. 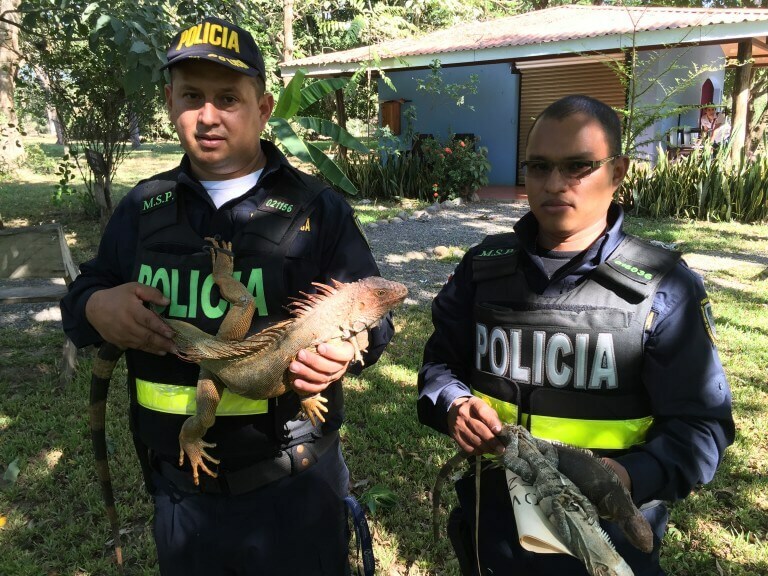 The wild animals of Costa Rica are protected by the Wildlife Law. The NATUWA Sanctuary works with the Ministry of Environment and Energy (MINAE); under the Costa Rican wildlife conservation law.